John H. Garabedian, known nationally as the host of radio’s “Open House Party,” has been prominent in Massachusetts radio and television for more than 50 years. His broadcasting career started at age 13 in his bedroom when he built a small transmitter. At 17, while a senior at Weston High School, his first paid job was weekends with WMRC, Milford. After graduation he spent the summer as a fill-in DJ at WORC, Worcester. By fall he left for the University of Miami to major in broadcasting, working nights at WAFM, a Miami classical music FM station. Bored with college, he returned to WORC in 1960, followed by three years at WPTR, Albany, New York. Frustrated with the rigid mechanical programming formats of the day, John realized the best way to create great radio was to own his own station. So at age 22 in 1964, John returned to Boston, working the all-night show at WMEX while working days on his FCC application for what became WGTR, Natick. During the eight years of proceedings until the FCC granted WGTR, John returned for the third time to WORC, now as operations manager and co-host of the original Open House Party. This valuable experience would pay off years later. By 1969, John was back at WMEX, Boston and soon named program director, quickly taking the station’s ratings from #15 to #1 in 90 days. WGTR, Natick finally launched in November, 1972. Four years later John filed FCC applications to take WGTR to 50,000 Watts, to build a new FM station on Nantucket, and to build a new three-million-watt UHF TV station in Boston. The FCC granted all three in 1979. Meanwhile, from 1981-1984 Garabedian assisted in musically refining and pop-izing the legendary WBCN, creating their “Rock of Boston” positioning statement, and helping them become Boston’s most listened-to radio station. As a WBCN DJ he became known as “John Gara B-C-N”. In 1985, four years after MTV’s 1981 debut, John and fellow WMEX alumnus Arnie Ginsburg launched a Boston 24- hour music video station, WVJV-TV. Known as “V66”, it highlighted local Boston music and culture, greatly enhancing the early primitive all-video format of MTV. In late 1986 WVJV received “an offer they couldn’t refuse” and was purchased by the Home Shopping Network. John then returned to radio. In 1987, he recycled the Open House Party concept from WORC as a national network show airing Saturday and Sunday evenings. 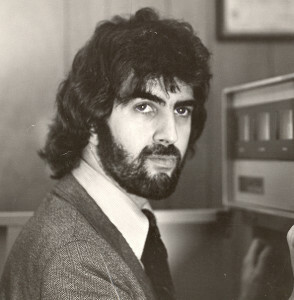 It launched locally on Boston top 40 station WXKS-FM, but in the process he created Superadio, a national radio network. Superadio grew to 40 programs airing on over 1,000 affiliates before John sold it in 2002. John continues to host Open House Party on over 100 US stations from studios in his three homes. In 2012 Garabedian returned to the Cape and Islands, buying two Cape Cod radio stations (WPXC and WFRQ), creating the Codcomm Radio Group, and soon launching two more stations (WKFY, and WHYA). John once again has shown his commitment to the future of radio. Using his engineering expertise, he improved the coverage and power of each station. Using his programming knowledge, he improved the air product. His standards are high and his boundless energy is seen every day by those who work with him.